Speaking up for safety—it’s not simple. Liberatore K. PA-PSRS Patient Saf Advis. 2018;15(3). Engaging patients and families in patient safety efforts is a key priority in health care. 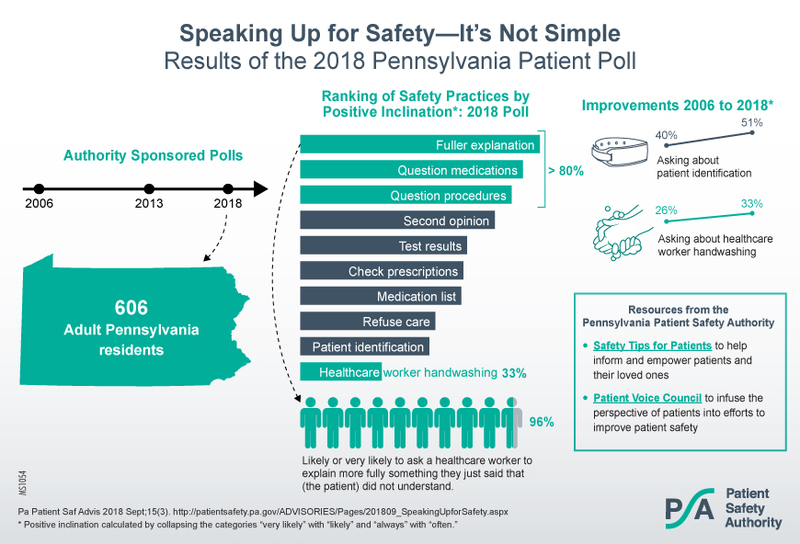 This poll of patients from Pennsylvania explores actions patients are likely to take to ensure their safe care. The results indicate a strong willingness to ask questions to help patients better understand their care, but patients were uncomfortable with raising concerns if they saw clinician behaviors that diminish safety, such as lack of hand hygiene compliance.